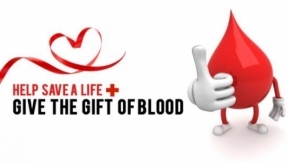 All adults 18 years and older are welcome to a Blood Drive hosted by Holy Cross Hospital Tuesday, July 7th, from 9a until 1p, in the hospital auditorium at 2701 West 68th Street. Please call the Holy Cross Hospital blood bank (773-884-4621, 6a – 2:30p) to schedule an appointment or call Heartland Blood Centers (800-7-To-Give) with any questions. An ID is required and walk-ins are welcome. © 2298 Chicago Hispanic Newspaper, Lawndale News, Hispanic Bilingual Newspapers, Su Noticiero Bilingue. All rights reserved. XHTML / CSS Valid.